Hostel or Backpackers accommodation varies from camping to dorms, standard doubles to en suite (Self catering), and then our “flagship” 5 star backpackers Lodges (Flashpackers in Jeffreys Bay and Island Vibe Port Elizabeth) with TV, Tea/coffee, spa bath in rooms. 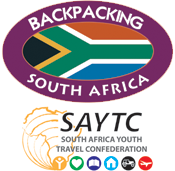 We offer true South African diversity through different levels of accommodation – Hostel; Backpackers and Lodge accommodation. We also offer accommodation in different locations around South Africa – Port Elizabeth AKA PE (Eastern Cape) for big 5 game viewing, Art, Craft & Culture, Boardwalk Casino and Metropolitan city shopping; Jeffreys Bay AKA J-bay (Eastern Cape) for beach relaxation, Surf Shops and most important, sun, surf and social; Knysna (Garden Route Western Cape) for Hiking, Outdoor activities, Adventure and cuisine. Island Vibe Backpackers Hostel Knysna is a adventure stop in South Africa, not to be missed! Backpackers can explore and experience the Garden Route through adventure activities – Hiking, Abseiling, Canoeing, visiting interesting sites (Rastas, Local beer brewery, The Heads nature reserve, Oyster tasting etc.) Island Vibe Backpackers Hostel in Knysna is the perfect hostel to be based at if extreme adventures and outdoor living is your thing. Milder outdoor activities like lagoon cruises or a visit to a Elephant park can also be arranged for you by the hostel staff. Island Vibe Backpackers Hostel in Knysna offers budget accommodation in small comfy dorms and en suite doubles (Self catering). Our hostel has family rooms available and can sleep up to four people at a time. Island Vibe Backpackers Hostel J-bay…WE’RE ON THE BEACH…Sun surf and social … chilled days on the beach or shopping at Billabong surf shops, and fun party nights – A resort type holiday on a budget. Island Vibe Hostel in J-bay is one of the top youth hostels in South Africa. “Living the dream.” Everyone that’s young at heart and who’s looking for interaction with other backpackers backpacking through South Africa, should stop at this youth hostel for a few days. Accommodation at Island Vibe Backpackers Hostel in Jeffreys Bay includes camping, dorms, cheap garden cabins for 2 (non en suite) and en suite double rooms at the beach house. Two of these rooms are deluxe with their own balcony – looking right onto the beach and Indian Ocean. Island Vibe Backpackers Hostel in J-bay offer family rooms and can sleep up to four people at a time. The Island Vibe Backpackers bar is a beehive of activity and the place to hang out and chill…the place where backpackers share backpacking tips and stories…not to be missed while in South Africa. Jeffreys Bay Surf School gives surf lessons daily for 2 hours, each with qualified, experienced surf coaches, all equipment provided. These lessons allow backpackers a taste of surfing, giving them insight into a possible new sport closer to nature. Surf camps at Island Vibe Backpackers Hostel are more intense, and focus the student on a surf life style. Surf Camps range from one week to 6, and include a package deal of surf lessons, budget accommodation (Hostel / Backpacker) and meals at Island Vibe Backpackers Hostel in Jeffreys Bay. As the student progresses, s/he will surf different breaks and learn more intense theory such as reading weather charts/sea conditions, surf etiquette in the water…. Most of our clients are backpackers staying at Island Vibe Backpackers Hostel in J-Bay, and then a broader market of other holiday makers in Jeffreys Bay. Emphasis on fun, “come on try it…” J-bay being the Surf Mecca of South Africa, backpackers already comes with the knowledge of surf lessons and wanting to try surfing, therefore our aim is to fulfill this dream (or their brothers dream, uncles dream, boyfriends dream…). J-Bay surf school will get you standing! J-Bay Language School’s primary focus is to teach English as a foreign language. A professional and quality assured English education within a fun environment that adds an adventurous spirit to studying. Jeffreys Bay Language school is small (we aim to have max 30 English students), and thus personal, familiar and welcoming. J-Bay Language school host classes no bigger than 5 per teacher allowing direct interaction with each student. All levels of English available – beginner, elementary, pre intermediate, intermediate, upper intermediate, advanced and business English. Jeffreys Bay Language school also offers Cambridge exam preparation courses as private English classes. Our language school thrive on exclusivity; we offer what no other language school in South Africa can, being on the beach, in a seaside town, school residence / accommodation within walking distance, gateway to Garden Route and Big 5 game viewing. J-Bay Language school cater for those people wanting an edge to learning English; students will make life long friends, will have opportunities to see and taste South African life by means of different outings/social program trips/staying with families etc. 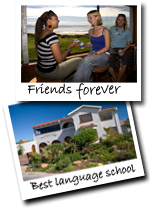 Truly a unique language school…Jeffreys bay Language School, South Africa. Island Vibe Flashpackers Jeffreys Bay, the “backpackers hostel” aimed at those backpackers who want top quality accommodation with a toned down backpackers hostel atmosphere. The rooms at Island Vibe Flashpackers Jeffreys Bay are furnished way more comfortable than that of a standard Backpackers hostel – queen size beds, fluffier duvets, towels, TV with cable, Tea/coffee. Rooms are all en suite, honeymoon suite with spa bath. Backpacker feel comes through communal facilities – kitchen, BBQ area, verandah with pool table. Island Vibe Flashpackers is a small establishment where backpackers can stay in luxury, socialize with likeminded people and make friends. Island Vibe Flashpackers J-Bay is a quieter holiday destination right on the beach, perfect to relax. Island Vibe Backpackers Hostel J-bay is just a stone through away if you feel like having a couple of cocktails, but if star gazing while listening to the whisper of waves breaking on the beach is more your thing, then rather chill on the verandah at Island Vibe Flashpackers. Island Vibe PE offers the best of both worlds; Lodge quality accommodation combined with a friendly sociable atmosphere synonymous with backpackers hostels. Island Vibe Port Elizabeth offers quality beds and bedding, towels TV with cable, Tea/Coffee and communal facilities – kitchen, Bar & pool table, BBQ area, verandah with pool. Rooms are all en suite, honeymoon suite with spa bath and family rooms that can sleep up to four people at a time. Big 5 Game and wild life viewing is a huge draw card for backpackers visiting Island Vibe Port Elizabeth. Addo Elephant Park just outside of Port Elizabeth can also be visited from Island Vibe Port Elizabeth. Backpackers visiting PE are thus spoiled for choice when it comes to game viewing in the Malaria free Eastern Cape. Whale watching and diving in PE is also popular amongst backpackers backpacking in the Eastern Cape South Africa. Island Vibe Port Elizabeth is only a couple of block away from the beach (15 Minutes walk). 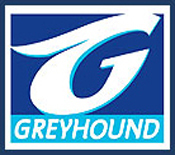 Port Elizabeth is a Baz Bus (The official backpacking transport provider in ZA) sleepover point and home to the Port Elizabeth Airport, a ideal “springboard” to Cape Town, Johannesburg and Durban. Island Vibe Port Elizabeth is the perfect place for backpackers to stay and plan the rest of their backpacking trip through South Africa.